Whoo-hoo I’m finally in style! 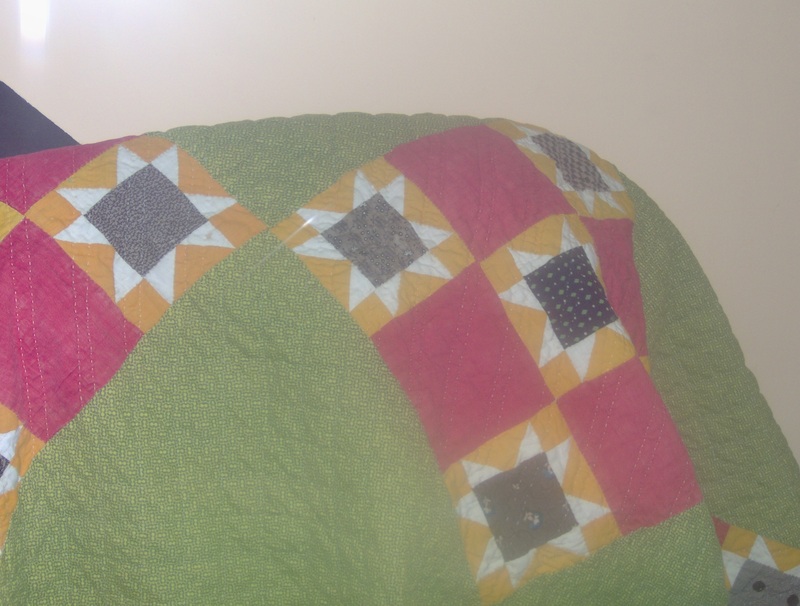 Back when I second started making quilts (the first attempt ended in the trash) I made Improv quilts. Except, I didn’t call them Improv. I called them, functional, utility, thrown-together quilts. I didn’t buy fabric for them, instead I used what I had. These were usually fairly large chucks from other projects, or fabric given to me. I’d lay the fabric out on the bed, moving it and fitting it together like a puzzle. Once I had a pleasing arrangement I’d sew them together, then do it all again and sew those two together. The process was repeated a few more times, to get the top long enough to drape over the end of the bed, and to make a reverse side to the quilt. Once everything was sewn I’d sandwich and old blanket between the two “quilt” tops and sew the whole sandwich together. They weren’t especially pretty, although the colors used did compliment each other. My children loved them and used them for years, until they wore out. Now, quilts of that type are called “Improv” and they’re a popular style. I must admit, the Improv quilts I make today use smaller scraps, and are built a block at a time. So much in style that I’m teaching a class in making an Improv quilt. Have you ever sewn an improve? Have you used improv elsewhere in your life? While I’m finally in style, I’m still late. This post was scheduled for Wed. Better late than not at all though, right? Linking up with The Ultimate Blog and A to Z blog challenge. This entry was posted in A to Z, quilt, sewing and tagged Blog, bloggers, devoted to quilting, family, friends, functional utility, Home, improv, improv quilt, pleasing arrangement, quilt, quilt tops, quilter, quilters, quilting, quilts, recycle, reuse, upcycle on April 12, 2013 by Nita.